I forgot to take pics, but luckily Certs didn’t! Check out his After Action Report on his site here. Here’s something I found on the Infinity subreddit. Infinity’s 3rd Edition is seemingly around the corner, so information is starting to trickle out about it. I think that a big presentation will end up being at this year’s Gen Con. I’ve been on an Infinity kick as of recently. Unfortunately getting a game in is hard when I already have my Wednesday nights devoted to Warmachine and the guys meet for Infinity on Thursdays. It’s hard to squeeze in both and be out two nights a week (technically it’d make it four nights as Tuesdays are Trivia night and Fridays are currently Game of Thrones night, but I digress). So when Certs announced a tournament in May and I saw that there were going to also be two other new players, I jumped in. Mostly as a way to at least get a couple of games in. The event was a 300pt, 1 list, YAMS format “Draw 6, Share 2, Keep 2”. Having only played a handful of Infinity games, I marched on with my models in hand to give out some free wins to the other attendees. So you want to play Infinity? A Beginner’s Guide! How can you not want this?! But I think I’m jumping ahead a bit. This is more about a beginner’s guide to Infinity. Well, I’m actually going to hand that off to Certs, who over on his blog answers all your Infinity questions, like: What the hell is Infinity? How do you play? What do I need? And so on. Much like my So you want to play WM/H? post, Certs does an amazing job breaking down damn near EVERYTHING you want to know in easy to understand snippets. Check it out! Where to find Infinity terrain? Finally got around to painting the Tohaa Gorgos. 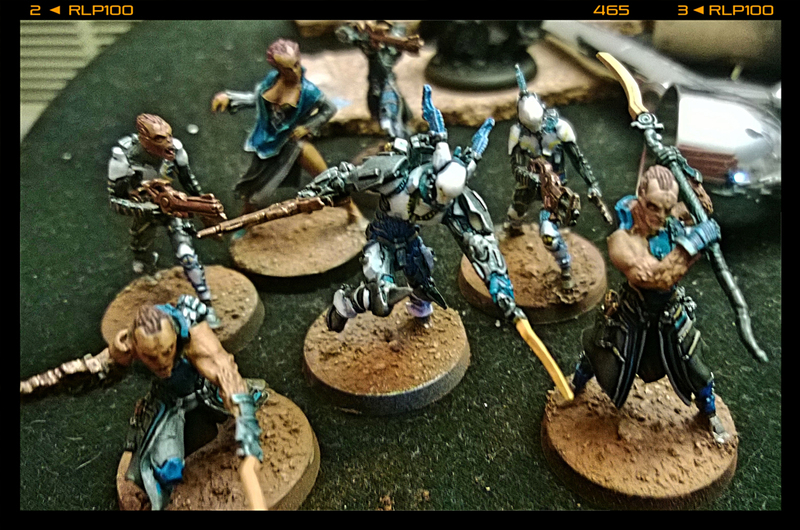 I haven’t been playing any Infinity but right now he and his bro were the only Tohaa models I have that were unpainted so, now it’s just his little Chaksa bro (seen in black above). I love this model. He was a joy to put together (all Infinity models have been to be honest with you) and to paint. I can’t wait to get him on the table one day soon. Now to just get Aelis Keesan, the Support Group, and maybe a Gao-Tarsos and my Tohaa collection will be complete. He basically a hulked-out Ectros. And I’m so cool with that. I’m also hoping with the news of Infinity 3rd edition coming up later this year, that maybe I’ll be able to get some locals involved in a small campaign or something after the Nova Open when much of the group is typically struggling with WM/H burnout. A lot of them bought models after last Nova Open, but I don’t think a bunch of said models have even been assembled yet! 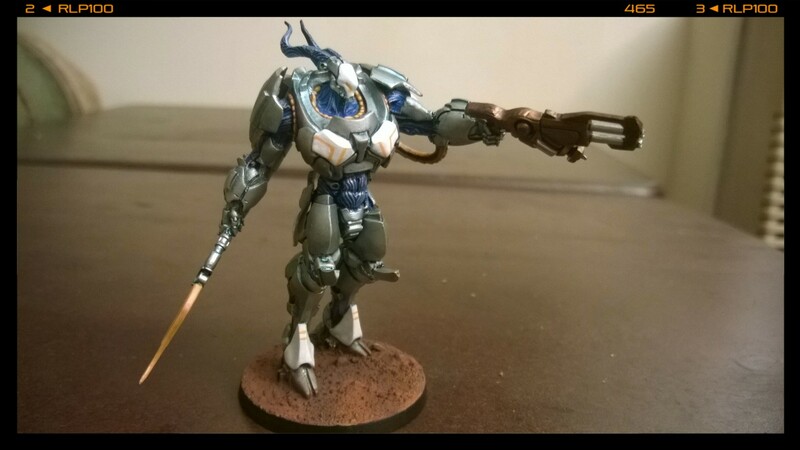 Some great thoughts on playing Infinity that really echo how I feel about the game. 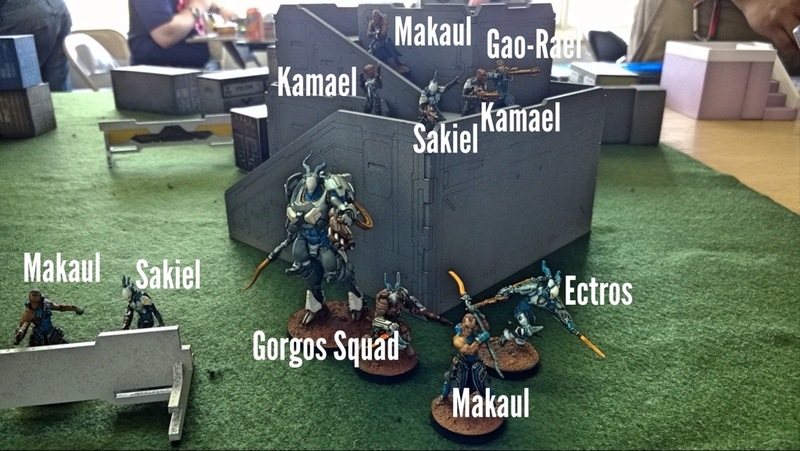 With the recent surge of interest in Infinity in my local area and in the #warmongers movement on Twitter lately, I figured I’d discuss some of the many ways that people can play Infinity. 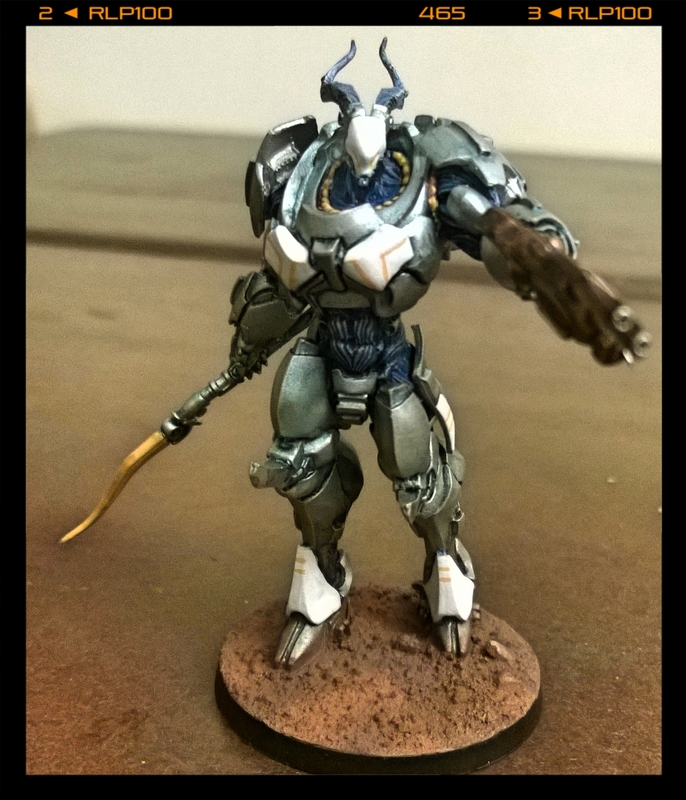 Back in August last year, my regular opponent, friend and painter-extraordinaire Darren gave his thoughts about some of the different ways there are to play Infinity. Since it’s been about 6 months since he wrote that article, we’ve had a bit more experience, and I thought I’d expand a little on his thoughts. First of all, let me just state that there is certainly no right or wrong way to go about playing Infinity, and different groups of players will have different viewpoints on this matter, but this is how myself, Darren and our other regular opponent Adam have all come to really enjoy playing the game and not get bored of it. [Infinity] The Gorgos has arrived! Stats and forums be damned, I’m getting this. I loved that it’s basically a hulked-out Ectros (my fave Tohaa model) with a Chaska bro. Can’t wait for these reinforcements to arrive! 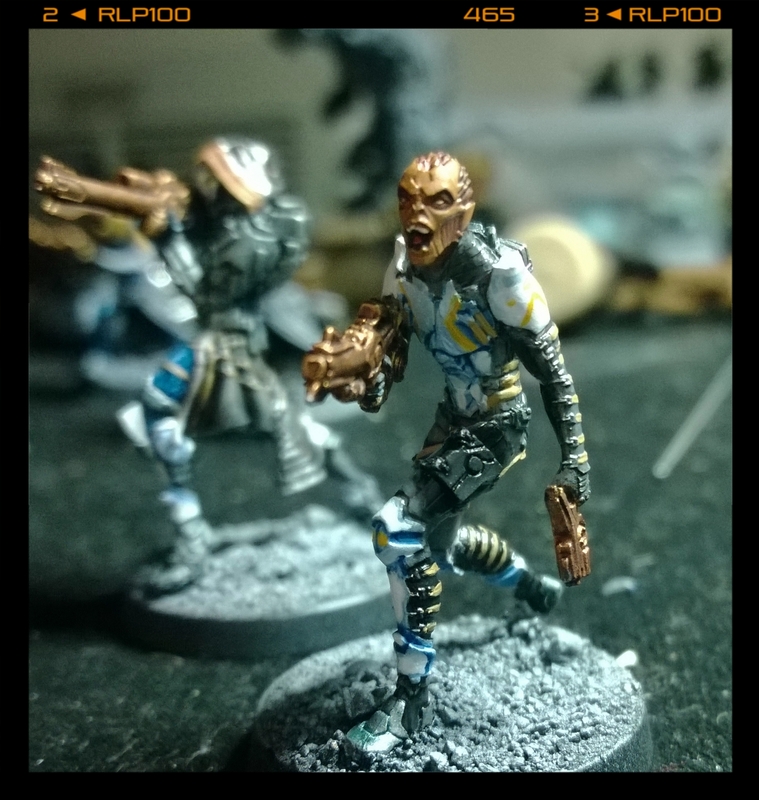 [Infinity] Initial thoughts on Tohaa & Completed Army Pics! I went with Tohaa as my first (and quite possibly only) Infinity force. Aesthetically, they hit all the right buttons. I haven’t come across a model I don’t like yet, which is a rarity as even though I love my Menoth, there are still models I don’t really care for in that regard (same goes for every faction in WM/H actually). So A+ there. Playstyle-wise, so far the Tohaa seem a bit horde-ish to me as many lists I build have more than 10 models (conversely, the Haqqislam list I was initially going with was just 8 models if I remember correctly). You can make lists with less by using more Symbiote Armor (again awesome) troops or taking heavier weapon loadouts however. For the past 2 or so years, Mini Army, Huge Time Sink has had the same look and feel. It’s served it’s purpose well and has (in my opinion) looked cleaned and well organized. For 2014, I wanted to do something a little different. Since I’m expanding my gaming palette to include Infinity and Malifaux in addition to the usual Warmachine/Hordes offerings, I figured why not change up the site too? Part of what spurred this came from a friend’s comment. He said he came to my site for pictures, and went to others for the text. That really rang true when I thought about the type of content I typically posted on here. I’m not the most verbose blogger, but I do like to include tons of high-res images. So this new look basically shifts the focus to those. I’ve always been more of a shower, rather than a teller anyway. Let me know what you think of the new look in the comments. You can help decide if it stays or goes. And one final share…I finally had my first taste of Malifaux. Last games night, local Zac (go and check out his webcomic!) quickly showed myself and another local how to play the basics. I can definitely say it’s way different from Infinity or Warmachine/Hordes. I kinda like the card mechanic and with the new move to plastic the models are starting to grow on me (which is huge, because I used to HATE them).